empowering passion, potential & brilliance in the world. ﻿Are you passionate about empowering others to unleash their greatest potential? Our 'Visionary Coach' on line learning program is a perfect way to achieve this - inexpensively, from your own computer, in your own time and with passion, vibrancy, vitality, vision and power. Email assistance as you go through the materials. Each module includes recorded teleclasses, ebooks, articles, and energetic exercises that will take you step by step into the vibrant world of transformative, visionary coaching. The on line program also includes Soleira Green's 'Alchemical Coach', 'Living Consciousness' and 'The Real Art of Transformation' ebooks in pdf format. 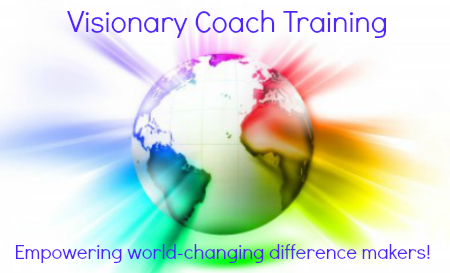 "Since your Visionary Coach training, I have made some great breakthroughs for my clients. It's amazing how fast the visionary coaching method works. The visionary approach has certainly changed my life and my way of looking at things, and I owe you a big thank you for that!" "I love the on line learning calls! I finished the Quantum Emotion one, and listened to the 3 first classes in Visionary Coach. Then I jumped to Super Energetics. I LOVE IT ALL and I could listen to the calls 24-7. I have just transformed a very tired mind and body into a feeling of aliveness and joy - just listening to the first teleclass in super energetics. Fantastic." Sign up now and we'll come back to you in the next 24 hours with all the information to get you started.